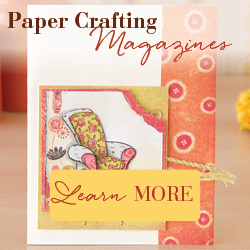 Do you need a quick birthday card? This one stamps up in just minutes! The stamps I used are from the Your Presents set and Perfect Pairings set by Stampin’ Up. They are older stamp sets that are discontinued, but I hope you will use this card as inspiration to create your own using the stamps you already have! 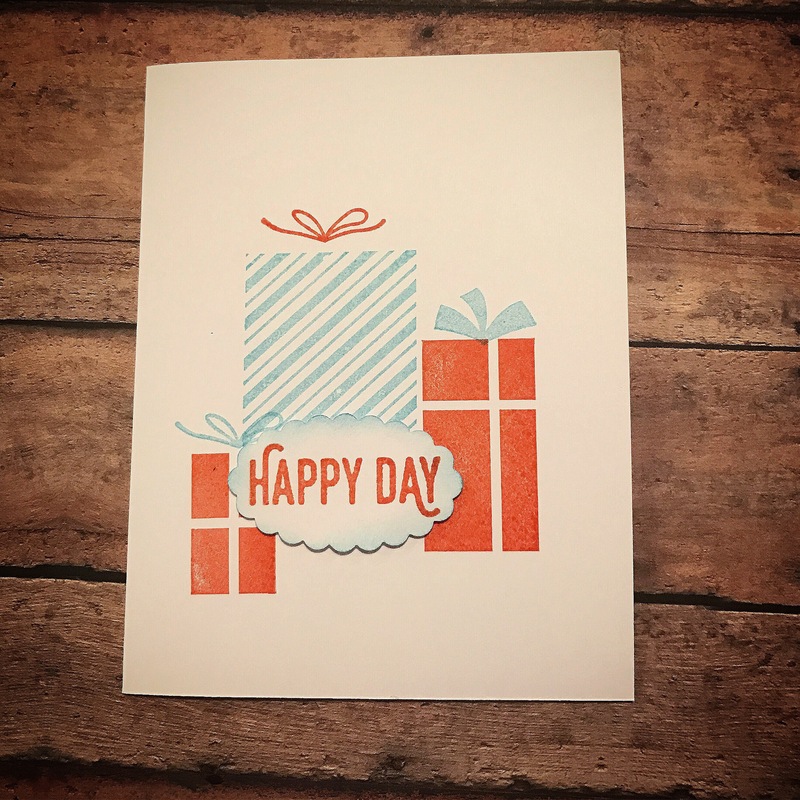 I stamped the gifts and bows with orange and turquoise ink directly onto a white card. I stamped the sentiment with orange ink on white card stock, punched it with a scalloped oval punch, and inked the edges with turquoise ink. It’s attached to the card with foam tape. And that’s it! So quick. So easy. Just a few minutes and you have a cute card ready to put in the mail!! Change the colors or the sentiment to personalize your card. And, again, use the stamps you already have to make a similar card! This is the 2nd card of 3 that I’m excited to have published in the Summer 2017 issue of Take Ten magazine. 🙂 You can find the 1st one here. I’ll share the 3rd one soon!